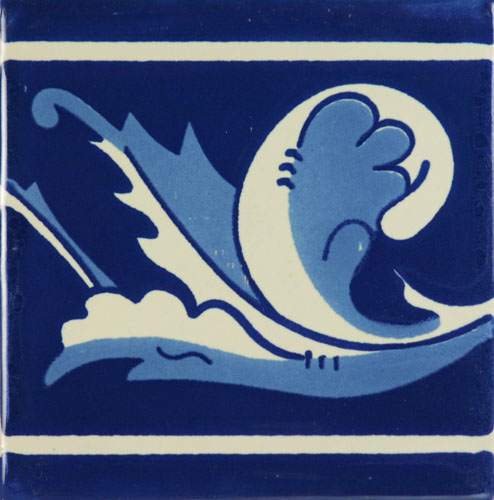 Happy New Year from Mexican Tile Designs! 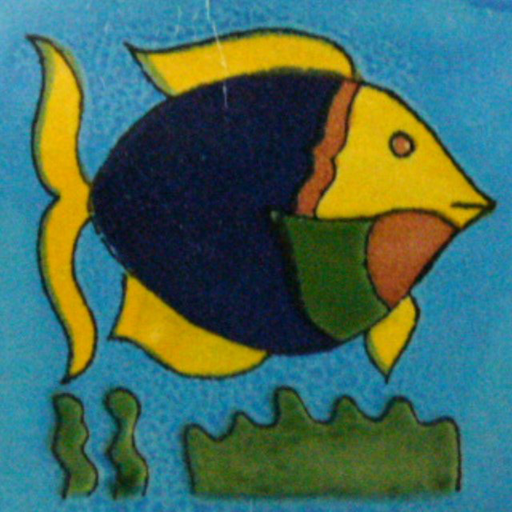 Our next Facebook giveaway will be for a gorgeous 24” x 16 hand-painted Mexican mural (link: http://store.mexicantiledesigns.com/index.php?c=9) so watch for the notice! If you’d like to receive our quarterly email newsletter with special promotions and sales, please go to www.mexicantiledesigns.com and sign up at the bottom of the home page. Do you have an old worn-out bathroom with a stained fake marble countertop and an “avocado green” sink left over from the 70s? Well, you’re not alone and don’t despair! 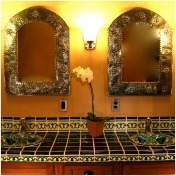 It’s easy to completely remodel that ugly bathroom without changing any walls using gorgeous Mexican tile and sinks. Or a completely unique look all your own! Here is one method you might use to choose your own unique and striking look. 1. First choose the background or uniting color. 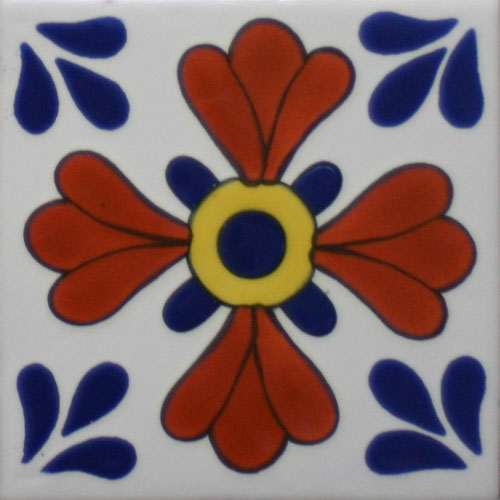 This may be the solid color Mexican Especial tile that you use for the countertop or for Especial Mexican trim tile, but it will be the color that ties the whole design together. Do you like a deep cobalt blue, a washed sea green, maybe a more subdued Blanco Mexicano antique white, or a joyful yellow as in this example? 3. 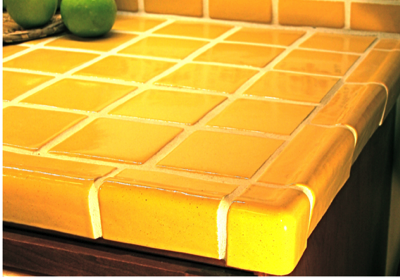 Now choose a coordinating trim tile to use in the backsplash or maybe around the edge of the counter. 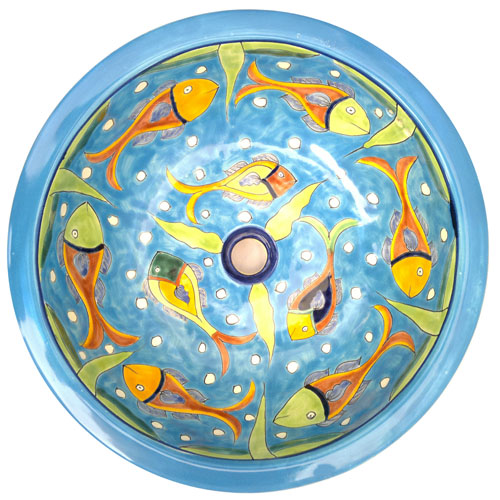 Perhaps a Mexican sink with a fish motif , inspires you to experiment with a wave trim or more fish or simply a coordinating trim. Let your creativity loose! So get rid of that ugly bathroom and create your very own masterpiece! 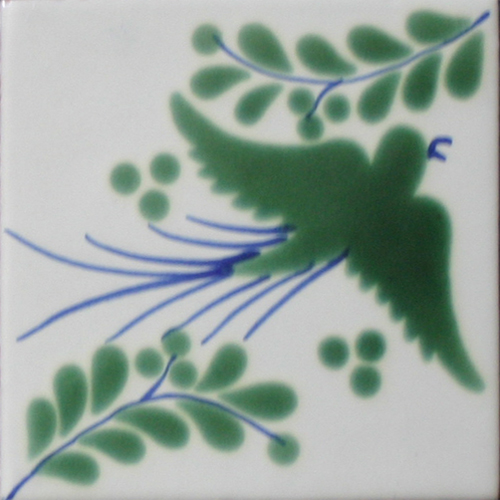 For a limited time, Mexican Tile Designs is offering FREE design services to help you bring your ideas to reality! Call toll free at 1-866-320-1628 and ask for Andy. The next blog will reverse this process, and help you start by choosing a sink and then finding complementary tile to match. Mexico Adventure Sourcing Tile and Murals: San Miguel Allende! Our last stop on our two-week trip seeking out the best Talavera tile, sinks, and murals we could find for Mexicantiledesigns.com was San Miguel Allende in the state of Guanajuato. It is a fascinating city, home to foreigners from all over the world. Like the city of Guanajuato we just left, it too is full of beautiful cathedrals and architecture from the 17th and 18th centuries. Its charming narrow brick streets are full of ex-patriots from all over the world. We were lucky enough to arrive right in the middle of the Carnival festival when the main plaza was full of families, music, food and merriment. These two large colorful ladies strolled the park while children of all ages dashed around throwing blown eggs filled with confetti at anyone who walked by. 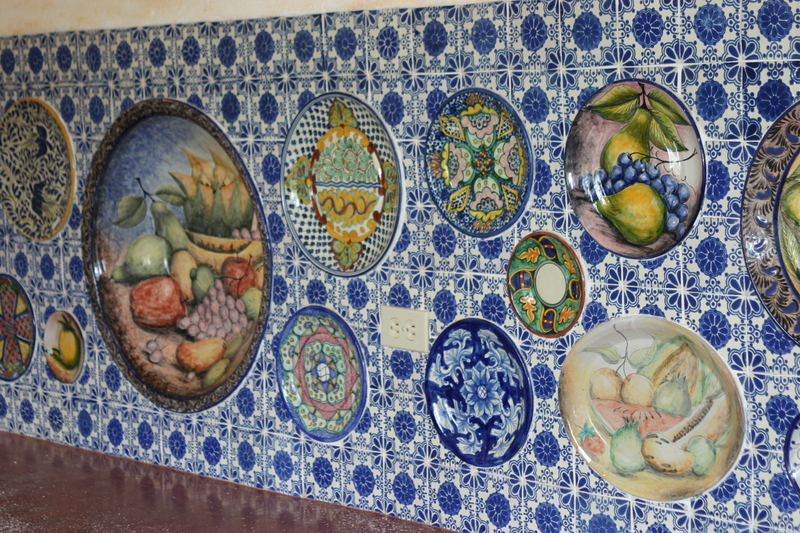 Just outside of San Miguel, we saw a fantastic tiled kitchen wall inset with Mexican platters! What a great idea! While we don’t yet carry platters like these at Mexicantiledesigns.com, we do carry a selection of lovely murals like this one which could have a similar stunning effect as the centerpiece to a tiled wall, or over the stove, or in a shower. Check them all out and use your own creativity to make your own home into a totally unique work of art! All too soon we had to leave Mexico. 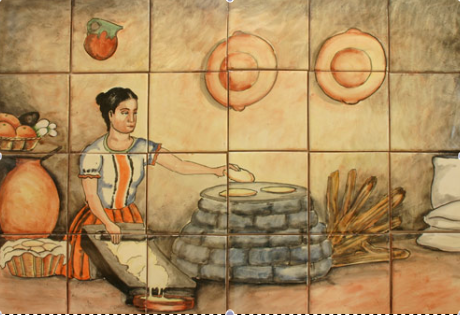 We will miss the people, the food, and the artistry we found there, but are happy to be able to bring some of it back with us to Durango, Colorado and to share it with YOU through Mexican Tile Designs! Mexico Adventure Sourcing Tile and Sinks: Guanajuato! 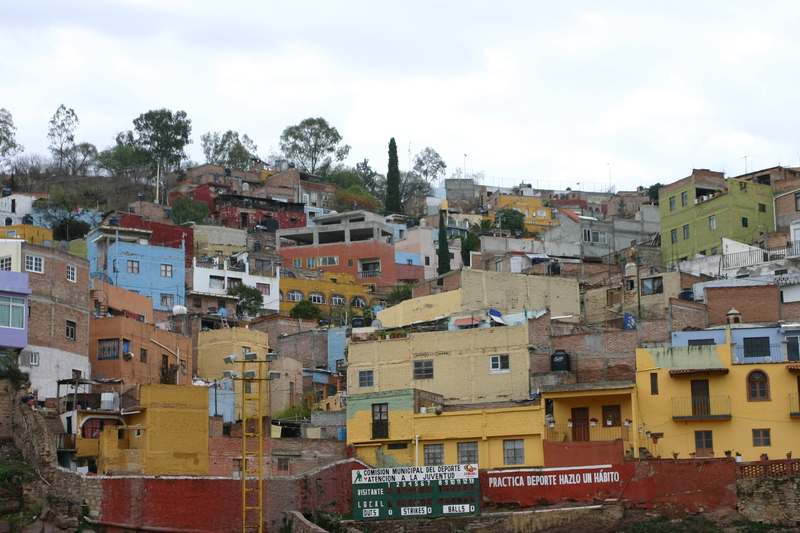 We spent four amazing days in Guanajuato, walking the steep, narrow cobblestone “roads” barely wide enough for a car. 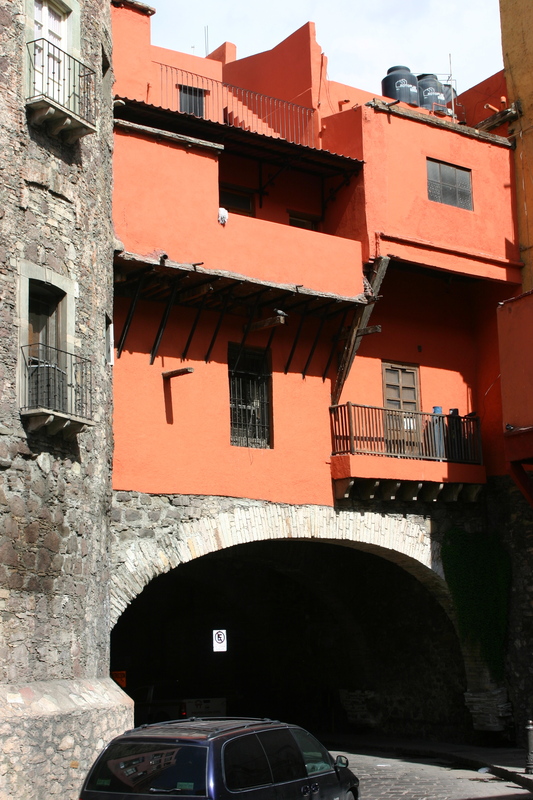 Many don’t even allow cars and the warren of alleys that climb up the hillsides are so narrow in places that it’s possible for one person to reach out and touch both walls at once! The houses appear to built one on top of the other in a multicolored array as seen in this picture taken from the baseball stadium. One day we made the obligatory tourist climb up to El Pipila hilltop monument. The view of this colorful city from the top was worth every step! 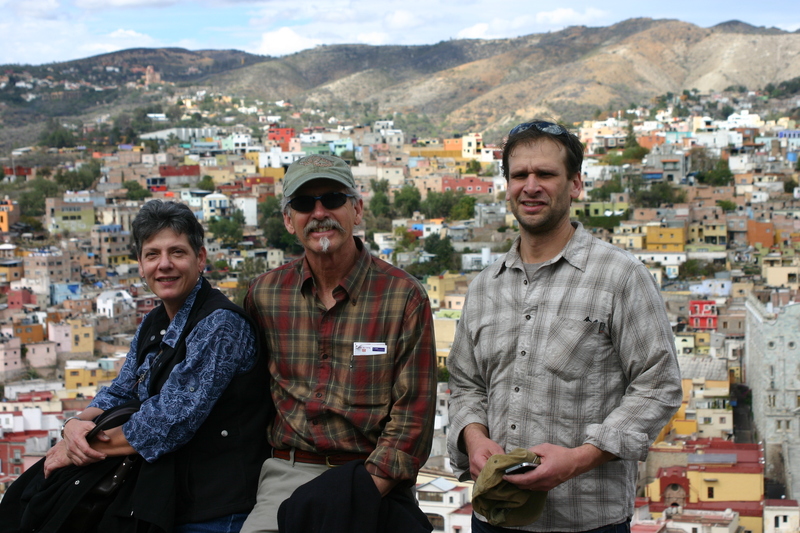 Here’s Teresa, Andy and Rich atop El Pipila hill. 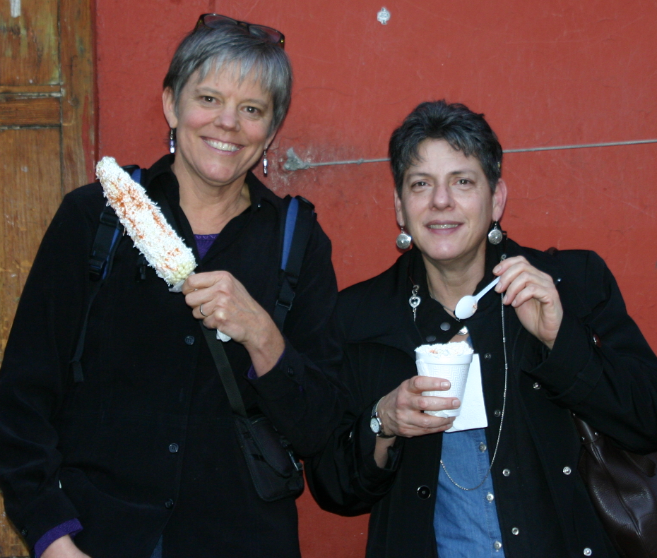 We loved just wandering the alleys, exploring the amazing cathedrals, plazas and markets in Guanajuato, and spent most of our time searching street stalls for tiles and sinks like those we carry at Mexicantiledesigns.com! In the evening, we would often eat dinner and desert with cappuccino at two or even three different establishments, just to experience as much ambience and amazing cuisine as possible. 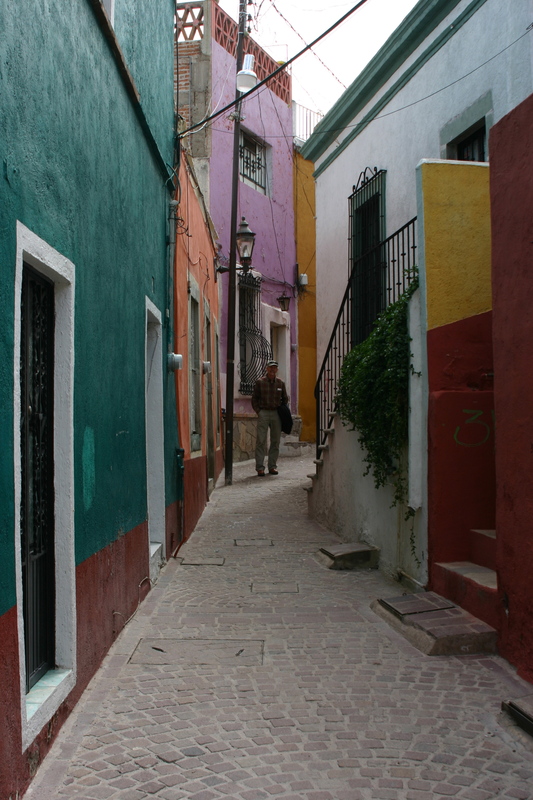 We hated to leave this intriguing and beautiful city, but we only had a few days left to explore San Miguel Allende! How to Choose Tile: It all Starts with the Sink! With all the beautiful Talavera tile and sinks to choose from, we understand that decision-making can be both fun and challenging. Choosing the perfect hand-painted pattern is like curating your own miniature museum. 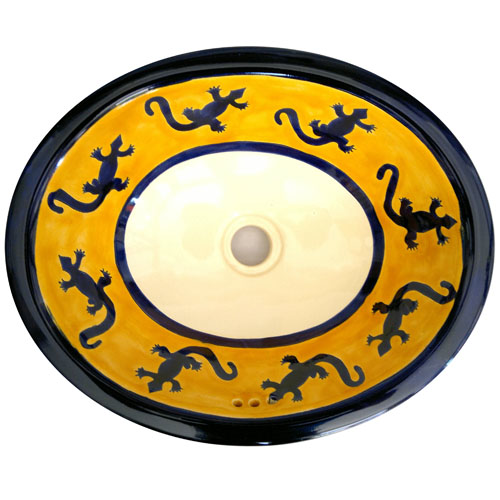 We had so much fun choosing Mexican Talavera sinks and tiles for our new home, but even for us it sometimes seemed intimidating! 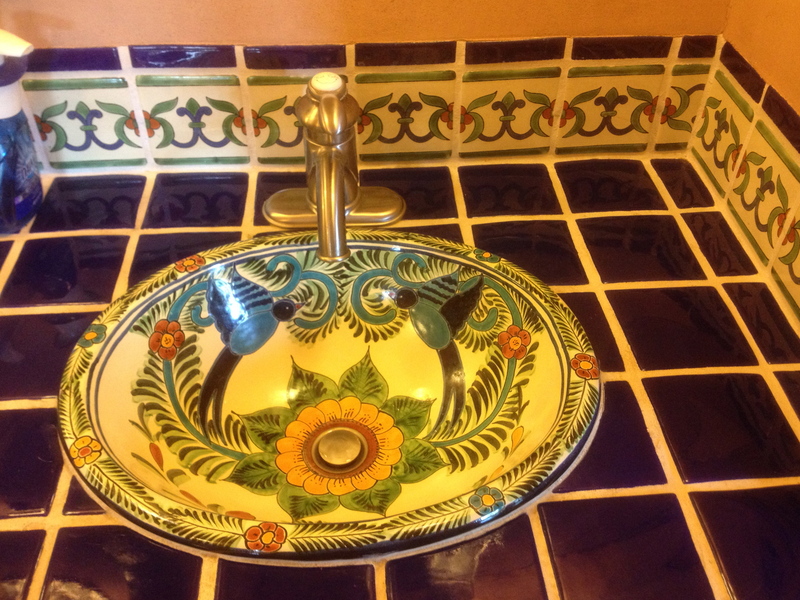 Mexican Tile Designs has over 94 different gorgeous sinks to choose from (and over 700 tile patterns!). Once you choose the sink, then color and pattern choices of tile become much easier. Everyone who visits our home always loves our sinks! We hope you have as much fun choosing your beautiful sinks as we did! 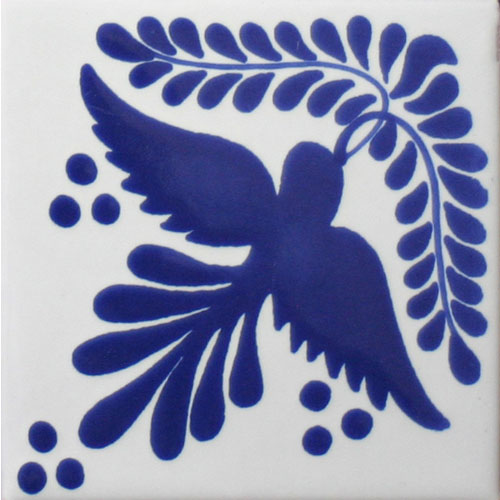 It’s hard to believe that it has been almost 2 years since my wife and I came up with the idea of creating a website that would be a resource for those who share our love for Mexican Talavera designs. 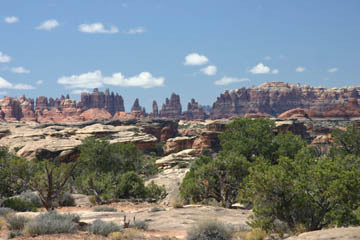 We were heading back from a long weekend in the sandstone canyon country of Southeastern Utah. We were so into the discussion that we missed our turnoff and wound up taking a scenic tour of the Navajo Indian reservation which was great except our fuel gauge was square on empty. Well we made it to a gas station and on towards home excited with the idea of creating Mexican Tile Designs! 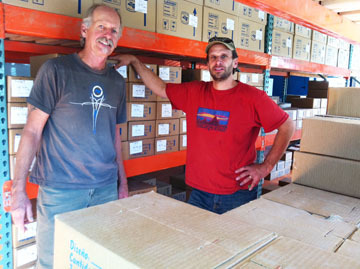 After months and months of scheming we needed to involve someone who had experience with importing product from Mexico. We knew just the folks to approach with the idea. 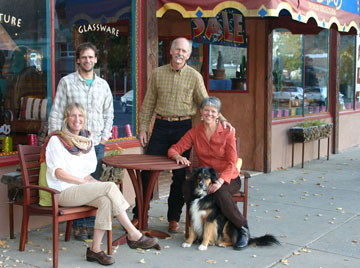 Rich and Jen Brown own a wonderful store, Artesanos Design Collection, here in Durango Colorado that is full of beautiful furniture, accessories and art from all over Mexico. Everytime I wander through the store, I discover new things tucked away here and there. 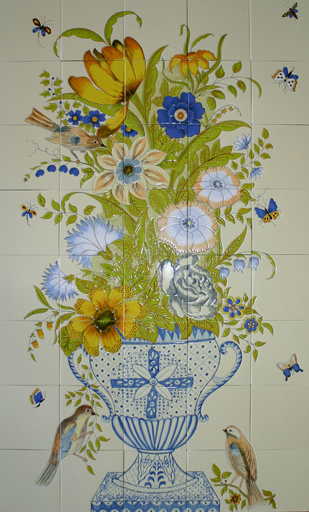 Artesanos had the importing infrastructure in place but not the time and energy to expand into Talavera products. They too, were excited with the idea and a great partnership was formed. We have spent almost 7 months designing and developing the website, and loading the product description and inventory into the database. Looking at it now, I am struck with the same feeling I get when reaching the top of our many peaks here in Southern Colorado. It takes the same steady pace to make either goal a reality. The website will never be completely “finished”. We are committed to continuous quality improvement in all that we do and are on the constant prowl to find new and unique items that celebrate the spirit and beauty of the Mexican people. We are excited about the inventory we have put together for you and are planning another buying trip for the near future. 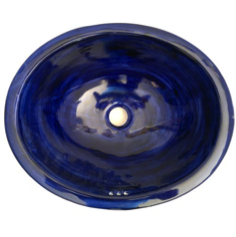 We hope you will spend some time on our website www.mexicantiledesigns.com and return often as we continue to bring in new items for you to choose from. As always, please do not hesitate to give us a call or send us an email with your comments and suggestions!